These collections are some of the most interesting sets of antique French documents you will find. These were created from real vintage documents dating to the late 1800’s and early 1900’s. You’ll find hand written letters and beautiful graphic receipts in these collections to work into all your design work and photographs. I spent months and months in antique stores all across my area and in online auctions to secure these for you. These are some of my go-to the collections again and again since they are so versatile. All textures are high-res JPG files, 300 PPI. File size is approx 548.9MB (597.7MB unzipped), offered as a single download. 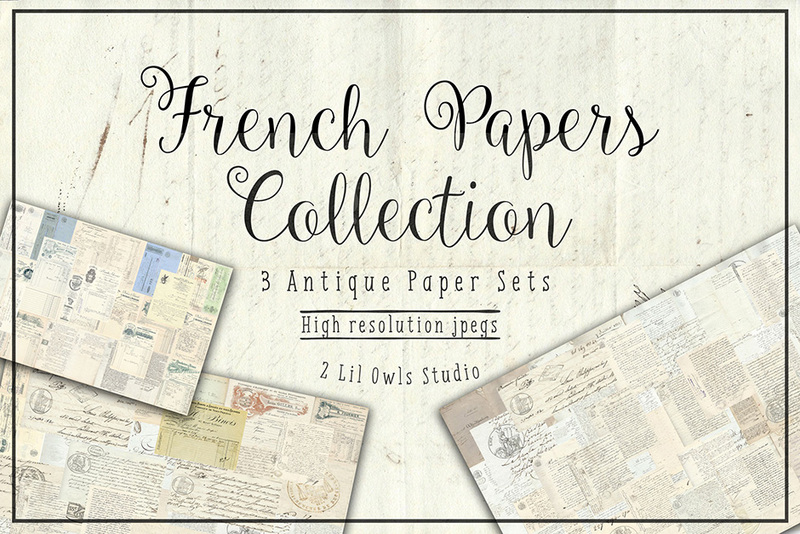 I’m in love with vintage paper and adore these!